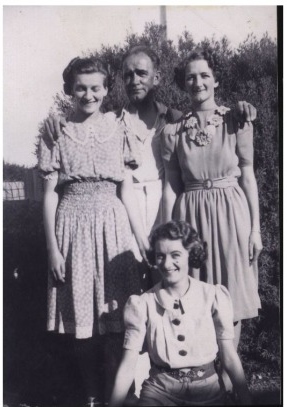 William Henry Murch with his daughters, Nola & Joan, and Moya in front. I love this photo with the girls wearing their nice clothes. This is one of many photos belonging to a research project I completed for my aunt, Janne McDonald (nee Powell). William Henry is her grandfather and Nola her mother.